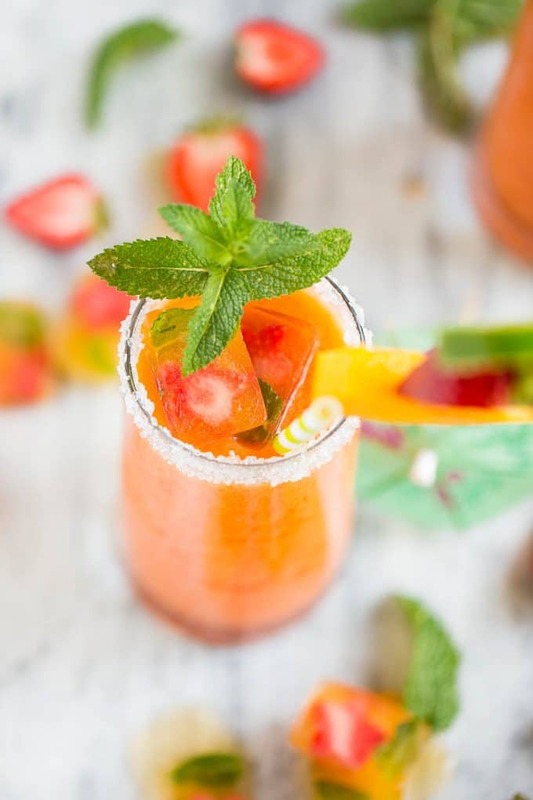 This recipe for strawberry mango agua fresca is a light and refreshing fruit drink that only takes 15 minutes to make, it’s the perfect way to cool off on a hot day! A unique drink that’s great for a party or any summer gathering! It is HOT here in California. So far this summer has been much warmer than last year. We have been spending a lot of time outdoors – in our yard, at the park, at the local splash pad and we’ve got a beach trip coming up this weekend. Sometimes I feel like my kids aren’t hydrated enough, and I’ve been working on making sure that they get enough to drink. 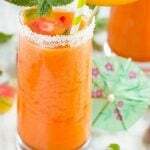 Today I’m sharing a recipe that my kids can’t get enough of, a strawberry mango agua fresca. It’s light, refreshing and will keep you hydrated all summer long! If you haven’t tried agua fresca before, it’s a drink where fresh fruit is blended with water and sugar to make a delicious and refreshing treat. When I was younger my parents would take me to this Mexican restaurant nearby where they always ran a special burrito and drink combo meal. They would have giant jugs of homemade agua fresca and the flavors changed all the time – I would get my burrito and pick my flavor of agua fresca. That restaurant went out of business a while ago but ever since then I’ve loved agua fresca. I decided to introduce my kids to this fun drink, but with a little twist. Instead of blending my fruit with plain water, I used tropical citrus flavored vitaminwater. If you don’t have vitaminwater on hand, simply use regular water. I combined tropical citrus vitaminwater, strawberries, mango, lime juice and honey in a blender and pureed it all together. That’s about it for this strawberry mango agua fresca! I used fresh ripe mango and strawberries but you could use frozen if need be, if you do you’ll probably need to increase the amount of honey in the recipe. 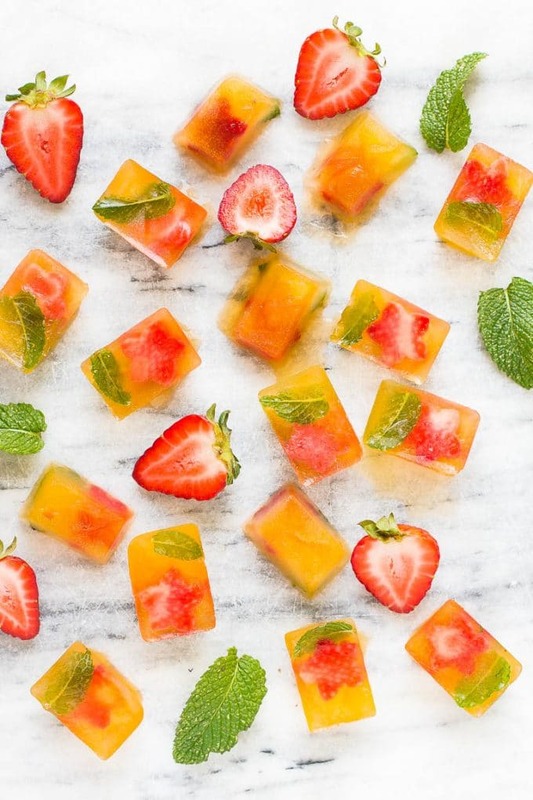 For fun, I also made ice cubes with my tropical citrus vitaminwater and added fresh strawberries and small mint leaves. That way when the ice cubes melt, it won’t water down the flavor of the drink. 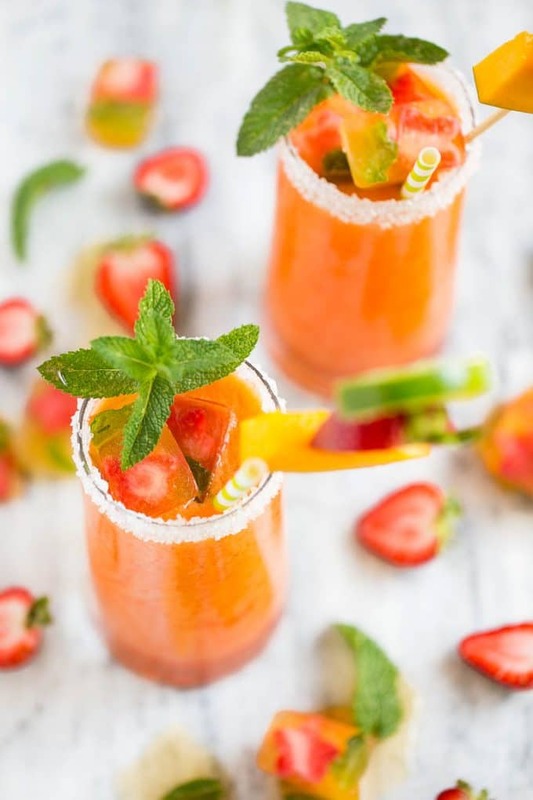 To make this strawberry mango agua fresca drink even more special I decorated the glasses by dipping the rims in water and then in sugar – my girls had never seen that before and they thought it was pretty much the coolest thing ever! If you’re looking to stay hydrated this summer, have a strawberry mango agua fresca. It’ll help keep you cool and refreshed and those super hot summer days will be much more tolerable! I’m making a jug of this drink to take with us to the beach this weekend. What’s your favorite beach drink? 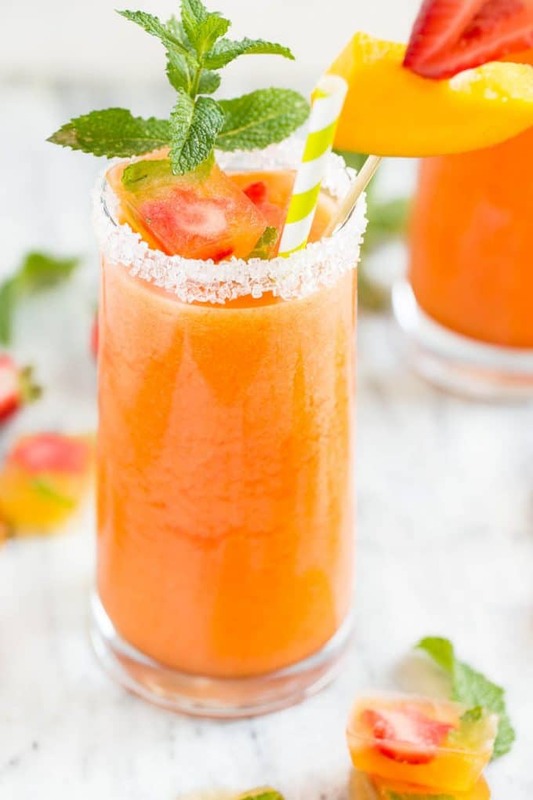 This recipe for strawberry mango agua fresca is a light and refreshing fruit drink that only takes 15 minutes to make, it's the perfect way to cool off on a hot day! 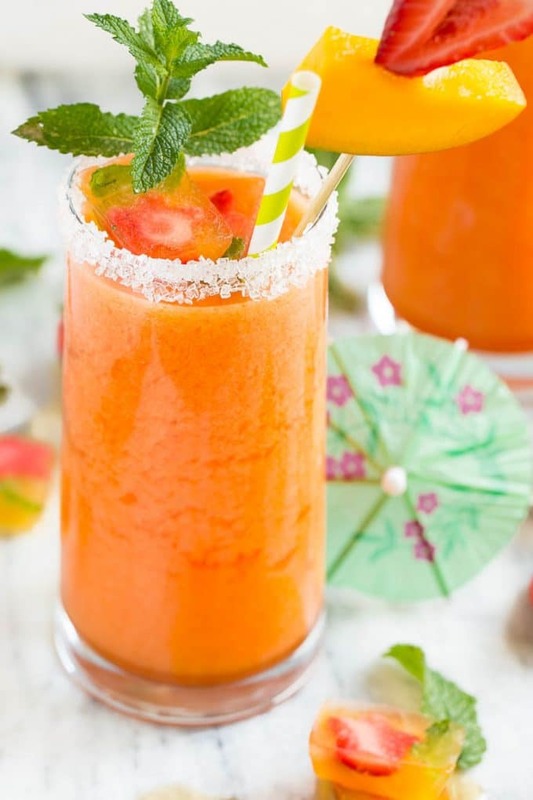 Combine the vitaminwater, strawberries, mango, lime juice and honey in the blender. Blend until completely smooth. Taste and add more lime juice or honey if needed. Pour the drink through a a strainer, discard fruit pulp. Add vitaminwater ice cubes. Decorate the glasses with the fruit, lime wedges and mint springs. To create a sugar rim on your classes, dip the tops of the glasses in water and then into a bowl of sugar. Pour 1 tablespoon of vitaminwater into each well of a 12-count ice cube tray. Add a piece of strawberry and mint leaf to each one. Freeze until solid. Make ahead: this drink can be made the day before you plan to serve it, the ice cubes can be made 3 days in advance. Shake the drink before you serve it. It’s so fun to make agua fresca at home;. This agua fresca is so refreshing and good. Next time I might add some fresh berries, because… why not? I’m planning on making it for Easter, would using frozen mangos as apposed to fresh be ok? The mangos in the stores are pretty green. I’ll be using fresh strawberries! Can’t wait to try!!! This sounds amazing! As usual, your photography is nothing short of spectacular! What a beautiful drink! It’s perfect for a hot summer day. This drink is STUNNING! I love the pictures! Pinning! Perfect way to cool off on a hot summers day! Thanks Mariah! I agree, it’s the perfect drink for hot weather because it’s not overly sweet. I’m safe indoors with the AC right now and I’m still drooling over this. Love the ice cubes and photography too! 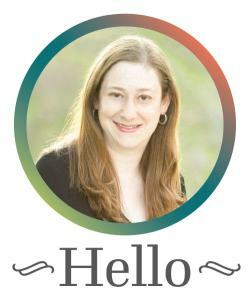 Hello from a fellow CA (Bay Area) food blogger! It’s gonna be a wonderful summer. Hey Matt, I’m also in the Bay Area! This is seriously AMAZING! You are so right, it is SO hot in California, and this is the perfect summer drink for sure. I am totally making this! Amazing recipe. It’s finally cooled off a bit here but June was WAY hotter than it usually is! The ice cubes are perfect – there’s nothing worse than getting halfway through a delicious drink and it getting all watery. I’m definitely making this recipe this weekend! What A gorgeous drink that looks super refreshing! I love how you garnished it, and the ice cubes and sugaring were such a great touch! This literally looks amazing, and I am about to run to pick up the ingredients. Looks so refreshing!